Panoramix the Druid is looking for mistletoe as usually climbing among the trees when suddenly he suffers a fall and breaks his toe. The fall makes the old Panoramix things about the future of the magic potion. 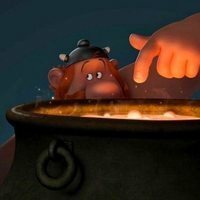 Who will prepare the magic potion when he can not do it? The Druid will start a trip all around the Galia with Astétix and Obelix to look for a new Druid to entrust him with the secret of the magic potion. One of the news of this film is the incorporation of the character called Pectina, a little neighbor. 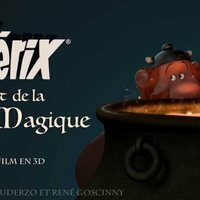 This new film of Astérix and Obelix adventures is directed by Louis Clichy and Alexandre Astier. 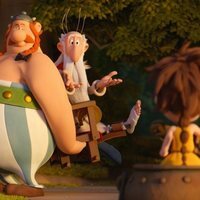 The film isn't the particular adaptation of an old comic, but it's inspired directly of the sketch of Albert Uderzo and the funny stories of René Goscinny, the original creators of the characters. 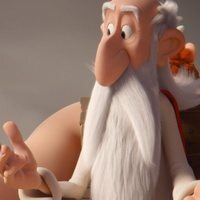 Write your own 'Astérix: The secret of magic potion' review.